The government has liberalised GPF rules, the conditions for taking advance from the fund for education, illness and purchase of consumer durables with effect from 7 March 2017. 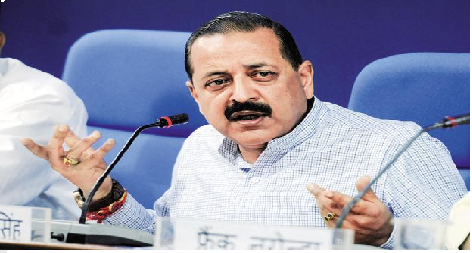 Now no documentary proof is required for getting advance or withdrawal from General Provident Fund (GPF), the minister of state for personnel Jitendra Singh said on Wednesday in New Delhi. This was stated by the Minister of State in the Ministry of Personnel, Public Grievances and Pensions and Minister of State in the Prime Minister's Office, Dr. Jitendra Singh in a written reply to question by Dr. Sunil Baliram Gaikwad, Kunwar Haribansh Singh, Shri T. Radhakrishnan, Shri Gajanan Kirtikar and Shri Bidyut Baran Mahato in the Lok Sabha today. GPF Rules:Now no documentary proof is required to be submitted for advance With effect from 7th March 2017, Government has simplified and liberalised the conditions for taking advance from the fund by the subscribers for education, illness, purchase of consumer durables. Conditions and procedures for withdrawal from the fund for the purpose of education, illness, housing, purchase of motor vehicles etc. have also been liberalised.